It has been a while, but we’re back! For those of you who are thinking about visiting Baños and maybe taking some Spanish classes here. I would 100% recommend it! First, let me introduce myself. I’m Esmee, 25 years old and from the Netherlands. I started my one-year travel adventure in Guatemala and visited many countries throughout Central America and South America, and now, 11 months later, I’m at my end point in Baños, Ecuador. At the moment I’m helping Mayra with the language school and all kinds of other stuff, but most importantly, I am taking Spanish classes at the school and enjoying Baños. 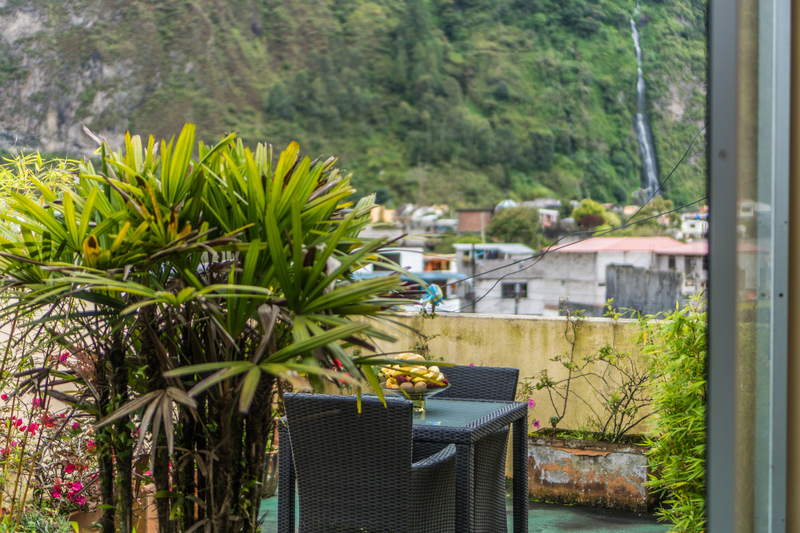 Learn spanish with this amazing view of the waterfall and mountains! 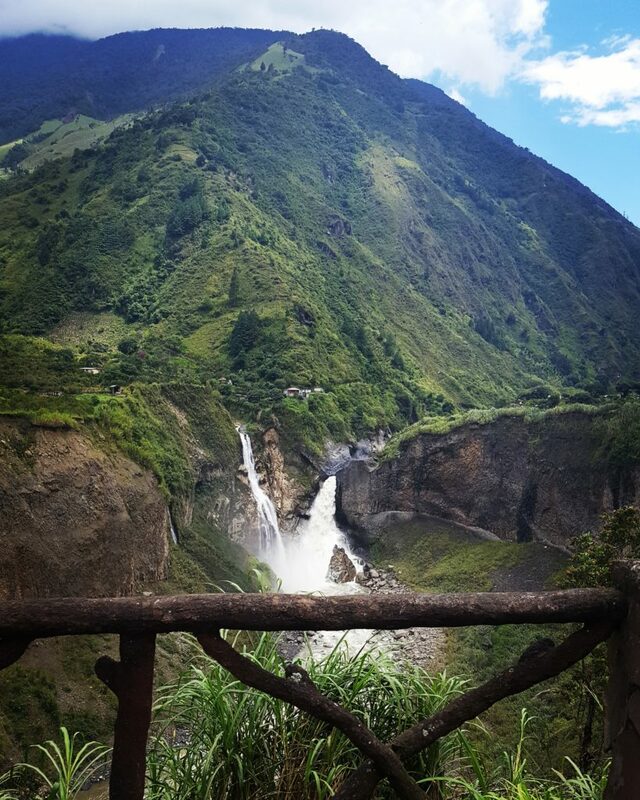 I’ve been in Baños for almost 4 months now and would like to take you with me on the adventures you can experience here through these blog posts. Hope you’ve enjoyed the first post in a long time. Let me know what else you would like to read, see and get to know about Baños.